After spending a week on the Oregon Coast, I have an even greater respect for the immense power of the ocean. 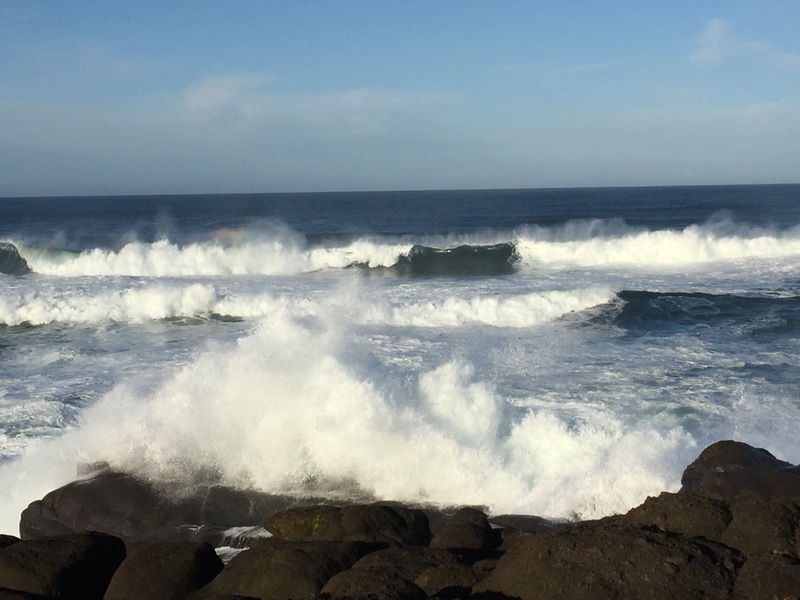 The sheer energy of the pounding surf is mind-boggling. 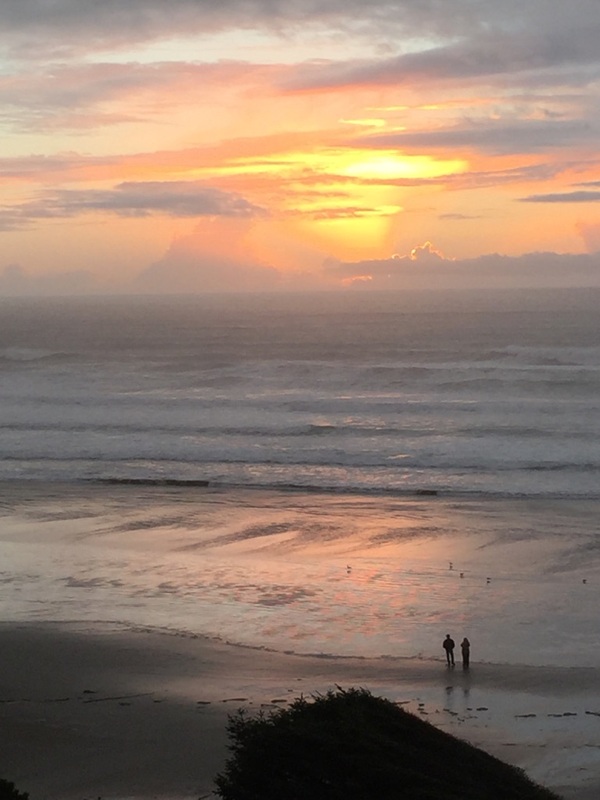 Although I spent much of the week curled up in bed, weathering the pain of cluster migraines – that were likely intensified because of said powerful ocean – I still found the experience to be of tremendous value. 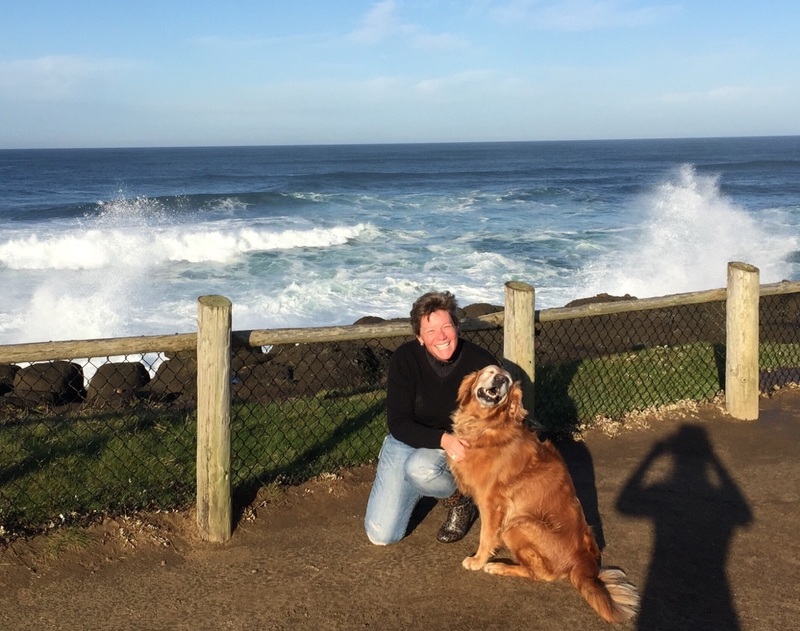 Besides an increased appreciation for the stunningly rugged beauty of the Oregon coastline, my time spent in Newport was also a good reminder that a health issue can bring us to our knees in a heartbeat. We often take good health for granted and don’t truly appreciate what a gift it is, until it is compromised…temporarily or otherwise. When my cluster migraines arrive – like an unwanted house guest that won’t leave until he or she is damn good and ready – I have no choice but to hunker down and weather the storm. Thankfully, however, I am fortunate enough to be able to hunker down somewhere quiet and put the rest of my life on hold until the storm of cluster migraines passes. Most people don’t have that luxury. I honestly can’t imagine how a person suffering from a migraine – cluster or otherwise – can still function with their everyday tasks. But many do because they have no choice. Do you suffer from migraine headaches? If so, I would be interested to hear about your experience. Do you take medication? Does it work? Can you still function while having a migraine? Do you find that a change in geographical location or change in the weather or barometric pressure can trigger a migraine? I suffered from migraines for two years back in around 2001. It was very debilitating. Then one day, it disappeared. Sorry to hear of your struggles with it. I hope that you eventually become free of it. Although the 5 or 6 migraines I’ve had in my life don’t even come close to making me a member of the “club”, just a tiny taste of these beasts prompts me to commiserate with you all. Big time. Migraine sufferers have no doubt heard it all when it comes to prevention, remedies, etc. but I thought this might provide a bit of hope for the future. In the meantime, hang in there! Gorgeous photos! This makes me want to visit the Oregon coast as soon as possible. As for migraines – for me changes in barometric pressure definitely trigger a migraine. Even just a really cloudy day or a Chinook will bring them on. At the first sign of a headache, my doctor said it’s ok to take a double dose of Advil or ibuprofen and a black cup of coffee. And – doubtful though I was – it often works to fend off the migraine, or at least lesson the length of one. Some of the prescribed medications and their side-effects, I find, are WORSE than the actual migraine. I can sympathize – migraines weren’t a problem until 5 years ago and they seem to arrive with Calgary’s chinooks! i now take medication if they are really bad but even with that I find that I cannot function for much of the day. I recently had to fly with a migraine and had a screaming child behind me. I couldn’t wait to land!! Oh the Oregon Coast, near and dear to my heart. Lovely to see you and Sadie at the ocean. The amount of logging and deforestation along the coast is heart breaking. But the ocean is beautiful. It sounds like you are seeking relief from migraine pain. I am still available and am offering sessions on complimentary and by-donation basis for another couple of months. I am supposed to graduate next week, but due to my workload am very far behind, and so I have an extension of 6 months to complete my course work. I can’t offer “a cure” but a few sessions may help. I have a client who suffers from really incapacitating migraines, and she has expressed an improvement…longer periods of time without getting one. And a clearer head generally (less brain fog). The offer stands, if you’d like to come. I do not get migraine headaches but I know how awful it can be to be working when a regular headache strikes. I sometimes think about a flight crew member who gets ill while on duty. At least I can go home if absolutely necessary to my bedroom, what do you do over the ocean? So sorry to hear that you are suffering with head pain. You know that I can relate? I am seeing my Neuologist on the 14th of November for another Botox treatment. I have my fingers crossed. She is very good if you are interested in a referral? Sorry that we have lost contact. Thinking of you. Hi Brenda! I would love to hear more about your Neurologist. I remember you mentioning before her before. 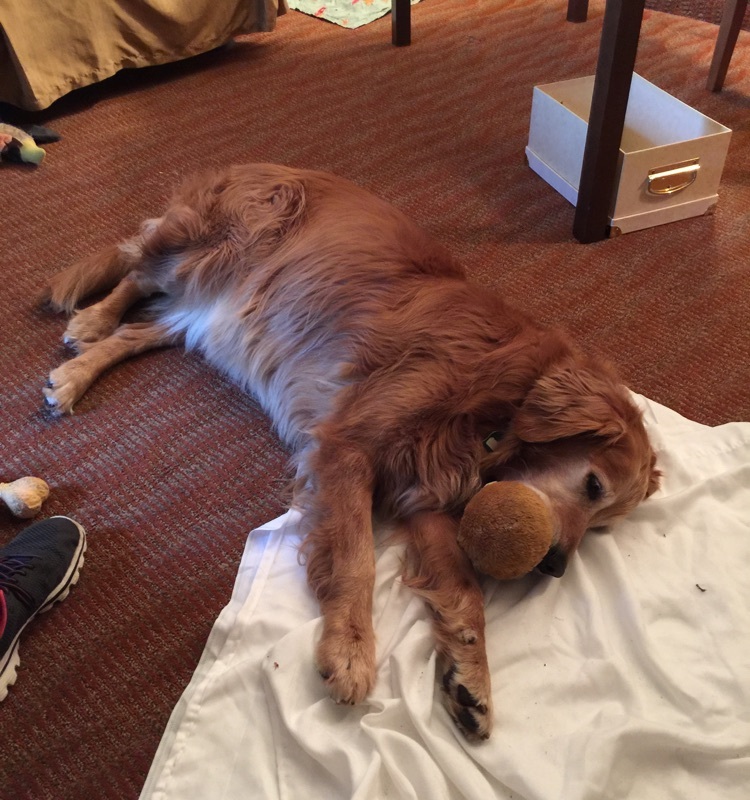 You take care and I look forward to getting together again soon…hopefully for fish & chips! No kidding, eh?! I really feel for people who simply cannot take the time needed to rest and recover from a migraine. Hope you are well, Jennifer! Ack! That sounds like a brutal flight indeed…never had a migraine while flying. Thank goodness! So true about the medication often being more trouble re the side effects than the migraine itself. And I, too, really find a cup of strong coffee to be a huge help! Is that ever interesting, Claire! I hadn’t read before that nitrates may be a trigger for migraines. Thanks so much for passing that link on. Hi Nina! SO glad to hear your migraine headaches disappeared…that is fantastic!